Be the first to share your favorite memory, photo or story of Patrick. This memorial page is dedicated for family, friends and future generations to celebrate the life of their loved one. Patrick A. Tate of Wister, OK went to be with the Lord on November 7, 2018 at the age of 77. We are sure of his presence with the Lord because of his faith in Jesus as his Savior. Born in Dustin, OK to C.A. and Dorothy Tate, he graduated from Holdenville High School, East Central State College, and Southwestern Oklahoma State University School of Pharmacy. After graduating from pharmacy school, he and his wife were owners of a pharmacy and gift shop in Holdenville, OK for many years. Upon relocating to Poteau, OK, Patrick enjoyed working in various pharmacies in the area. He was a member of Bethel Baptist Church in Wister, OK. 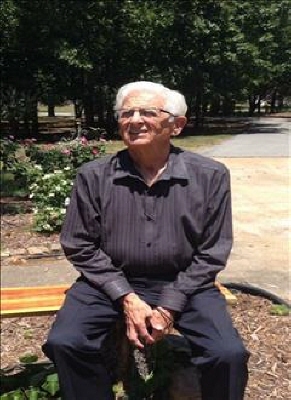 He is survived by his wife of 54 years, Patricia Tate; daughter, Traci Scowden and her husband Steve; daughter, Deidra Nickel and her husband Jerry; five grandchildren, Grant, Emily, and Katie Scowden, China Scott, Cassidy Young and her husband Theophilus and numerous family and friends. Homegoing celebration will be held at the Cafe at Hudson Phillips Funeral Home on 301 E. Main in Holdenville, OK at 12:00 p.m. on Saturday, November 10, 2018. Interment will be at Carson Cemetery in Carson, OK after the family gathering. Arrangements by Hudson-Phillips Funeral Home. Online condolences can be submitted at phillipsfuneralservice.com. To send flowers or a remembrance gift to the family of Patrick Almon Tate, please visit our Tribute Store. "Email Address" would like to share the life celebration of Patrick Almon Tate. Click on the "link" to go to share a favorite memory or leave a condolence message for the family.